Pauline Hanson’s popularity is shaping up as a deciding factor for when the Queensland election will be called. The One Nation leader has emerged as a spectre for Queensland political pundits who remember when her personal popularity took her party to a 23% primary vote, nabbing 11 seats in the state’s unicameral parliament in 1998. While she is yet to see those heights uniformly, with One Nation polling at about 15% in statewide Newspolls and hovering at about 8% nationwide, seat by seat it is a different story. Queensland Labor is deciding whether to head to the polls before the end of the year, widely expected in either late October or early November, or wait until February and hope some of One Nation’s shine has worn off. “It is definitely a factor,” one party heavyweight told Guardian Australia. “Not the only one. There are boundary redistributions, local factors and other issues but it is there. “There are those within the party pushing for it to happen soon, looking at the Newspoll figures, worried it will increase. But then the seat-by-seat figures are showing One Nation is much higher than that, across a range of seats. The result of the 31 January Queensland State election could be jeopardised by rorts in postal voting and recently-discovered loopholes in the Queensland Electoral Act according to claims by the Australians for Honest Elections organisation. Many people who have been concerned for years about the vote frauds in Queensland (and who remember all the cheating in Mundingburra triggering a by-election, as described in a book by famous crime investigator Bob Bottom over 15 years ago) were delighted by amendments to the Queensland Electoral Act about 7 months ago to require voters to provide ID before being allowed to vote,” said Mr Lex Stewart, President of Australians for Honest Elections. “Also, unlike the Commonwealth Electoral Act, section 119(1) of this Queensland Act allows anybody, including false enrolments, to apply for a postal vote without even requiring any reason at all!” said Mr Stewart. “Was the sudden snap election in Queensland called at such short notice to prevent the Electoral Roll being cleansed of illegitimate enrolments in time?” asks Mr Stewart. “Postal voting has long been recognised as fertile ground for vote cheating, and for this reason many countries around the world do not allow any postal voting. How many people know that Joe Cahill the Labor NSW Premier cancelled postal voting in NSW in 1949 due to the proven cheating that was occurring in it?! 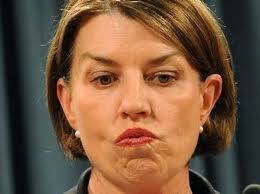 And postal voting did not occur in NSW until it was re-introduced by Neville Wran in 1976,” said Mr Stewart. Now with time bathing in the mandate you handed Newman reflecting a leap from the Labor camp frying pan into the LNP concentration camp fire. Here is the search link of our site to stories covering the last election you may care to reflect upon [CLICK HERE] – You can expand the list by selecting at the bottom of the page – Older Posts. 04 June 2018: Katter’s Australian Party (KAP) today welcomed Senator Fraser Anning’s announcement that he will represent regional Queenslanders under the KAP banner in the Senate. Federal KAP leader Bob Katter and Senator Anning made the announcement during a story that aired on the ABC’s 7:30 program on Monday night. Bob Katter, KAP Leader and Federal Member for Kennedy said his affiliation with the Senator spans generations. “It’s fantastic news. We’re tribal, both our families were from Charters Towers before there was a Charters Towers. I have known Fraser a long time. “Fraser is about development. I walked into his office and he was working on the revised Bradfield Scheme; so we were instantly blood brothers. Senator Anning has been a staunch advocate for regional Queensland in the Senate since his appointment in November 2017. Senator Anning says the KAP’s vision for Queensland and Australia aligns perfectly with his own and the decision came down to giving regional Queensland the strongest voice. “I have known Bob for almost 40 years and we have a lot in common both personally and politically. Bob is the last cabinet minister from Sir Joh’s government still in office and founded KAP to carry on the late, Sir Joh’s legacy. As an old time National, KAP was the obvious home for me. The KAP has a proud history of uncompromising commitment to regional Australia. Party President Shane Paulger says Senator Anning’s decision to join the KAP is a reflection of the Party’s integrity and stability. “As a Party, we’ve walked the hard road to earn our reputation for putting regional Australia first. Fraser’s decision to join KAP goes beyond an alignment of policy objectives; it reflects the effort of all our members and staff who have built a stable organisation on shared values and principles. State KAP leader and member for Traeger Robbie Katter, says KAP has been able to strengthen its position in regional Queensland after years of neglect and broken promises by other parties. He welcomes Senator Anning and says it is a huge step forward for the Party. 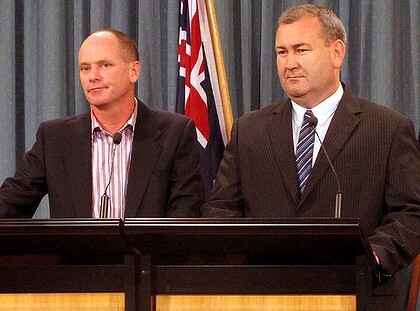 “Regional Queenslanders have very little reason to trust major parties. They’ve been completely duplicitous in their representation and they’ve continually shown that they put regional Queenslanders behind people in the South East. KAP will continue to uphold traditional Australian values and pursue significant reforms that favour all Queenslanders. KAP will ensure that the regional centres that drive the state receive the critically needed investment in transport, water and energy infrastructure that they have missed out on for so long. When regional and rural Queensland prospers, so does the whole state. Voters line up at the Bamaga polling booth on November 25. The outcome of this result has been challenged due to the local returning officer taking home two boxes of uncounted ballot papers. Election candidates, booth workers and scrutineers again have reported widespread corruption similar to that reported at the 2012 and 2015 state elections run by the dodgy Electoral Commission of Queensland. Booth workers across the state claim the Labor Party and unions have infiltrated to ECQ to such an extent there is no possibility of this government department carrying out a state election to deliver a clean result. In the Far North an onslaught against conservative political parties began in earnest at least eight weeks ago. Many hundreds of election signs erected by party supporters were reported damaged or stolen from roadsides and private property. At an estimated cost of $8 for a corflute sign and $3 for a wooden stake, the financial loss to candidates was crippling. Candidates have blamed the ALP and the crocodile lovers for the sign thefts. Cairns News hopes the croc shaggers and the militant Labor trench-coaters are soon devoured by the explosion of dangerous crocs infesting human habitats. One Nation and Katters Australian Party were hard hit by sign thieves who struck in the middle of the night. Booth workers across Cape York Peninsula reported ALP posters being left in polling booths at indigenous communities, ALP-aligned scrutineers accompanying indigenous voters into booths and actually filling out their ballot papers, with a lead pencil, naturally. A Kowanyama booth worker reported Labor supporters telling indigenous voters on their way to the booth to vote only for the Labor candidate or they would lose their pensions and dole (sit down money). Meanwhile we are advised the counting continues at the Cook electorate office where Labor candidate Cynthia Lui has a slim lead over One Nation candidate Jen Sackley and KAP candidate Gordon Rasmussen. This is occurring in spite of the questionable Bamaga ballot box being included in the count. October 27, 2017 – Leader of the state KAP party and Member for Mount Isa Robbie Katter has released his policy regarding the formation of new North Queensland State. “If the KAP holds the balance of power at the next election we will immediately take the first step toward the establishment of North Queensland as a separate state. “The first step will be the establishment of a committee of independent experts with knowledge of the legal, economic and social factors to be considered and addressed to facilitate the establishment of the state of North Queensland. “The independent committee will develop a ‘roadmap’, that will define the steps required to establish the state of North Queensland,’’ Robbie said. Robbie Katter in the next Parliament will put the wheels in motion to create a new state of North Queensland. Mr Katter said a logical starting point of a border when splitting Queensland in two, would be the Tropic of Capricorn. “If this border was adopted it would place Rockhampton in the state of North Queensland. “Crucially our indigenous population would also have to be closely consulted,’’ Robbie said. “Robbie says the Australian constitution is well prepared for the creation of a new state. “A new State can always be created by an Act of the Commonwealth Parliament. The constitution has provisions included so this can take place. It’s not as if this has never been considered before. A new state can only be created if the State in which it is to be created holds a successful referendum of the voters of that State. Under our unicameral system of Parliament, Queenslanders have been dominated by major parties which focus on winning votes in the South-East of Queensland. Meanwhile, they take the wealth that’s generated in regional areas and funnel it down to their South-East Queensland seats. “North and Western Queensland are economic powerhouses. Real Gross Regional Product in Mackay was more than twice that of the state average while the North West was three times the average. “About 60 per cent of Queensland’s export industries are above the Tropic of Capricorn and contain only 20% of the population. “Given the decline of the north and the regions under multiple ALP and LNP Governments we believe the time is right to once again seriously consider the creation of separate North Queensland State. “It would result in an immediate financial return back to those who created the wealth in Queensland,’’ Robbie said. North Queenslander Bill Bates is currently touring Queensland in an effort get people to sign his own personal petition to create a second Queensland state. Generally, petitions which attract 10,000 signatures will be debated in parliament.